Lord, today we pray for the Paralympics, taking place right now in Rio de Janeiro. Lord, please bless, protect and guide the athletes, coaches, etc., who have descended upon this city. Draw them close to you. We pray that the believers among them will shine your light not only as they compete, but as they interact, train, prepare and go about their daily routines. 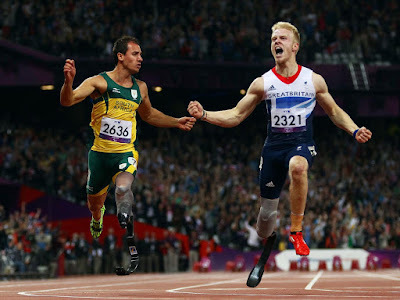 We also pray for the Jesus 4 All movement that is represented at the Paralympic games. May the videos they have created that feature Paralympic athletes’ testimonies reach many people with your Good News. May the mission’s evangelism, outreach, social service, arts, and communications efforts all meet with success as they minister to the people from all around the world that have gathered for this momentous athletic event. Lord, reveal yourself in Rio de Janeiro. May the 2016 Summer Paralympic Games be a time when you are magnified. In Jesus’ name we pray, amen.